When can I buy the All Legends Pack for Xbox One? On Xbox One, Mammoth Coins, All Legends Pack, and the Collector’s Pack will go live on launch day, November 6th. When can I buy the All Legends Pack on Nintendo Switch? On Nintendo Switch, Mammoth Coins and the All Legends Pack will be available with Early Access. 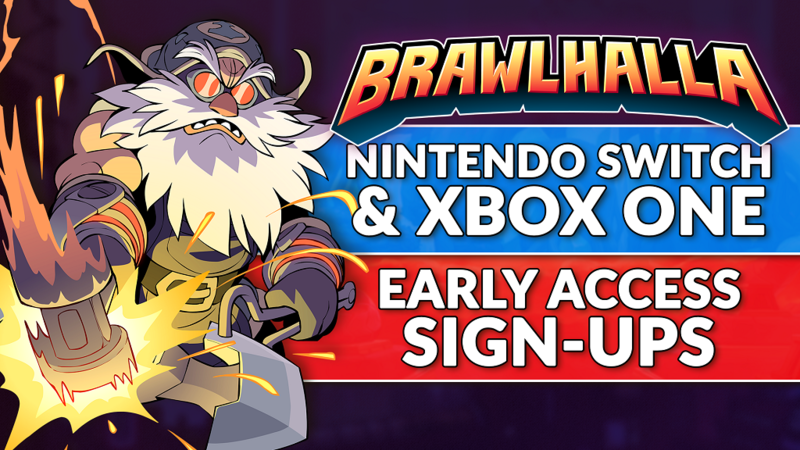 When Brawlhalla Launches on November 6th, all items purchased remain purchased and all Mammoth Coins spent remain spent. There is no reset or losing unlocks or progress. When can I play Rayman on Nintendo Switch and Xbox One? Rayman content will be active for testing on Xbox One with the start of Early Access. Rayman will be active for Nintendo Switch at launch on November 6th.